Find the root of a quadratic using its graph or the quadratic formula. Explore the graph of the roots and the point of symmetry in the complex plane. 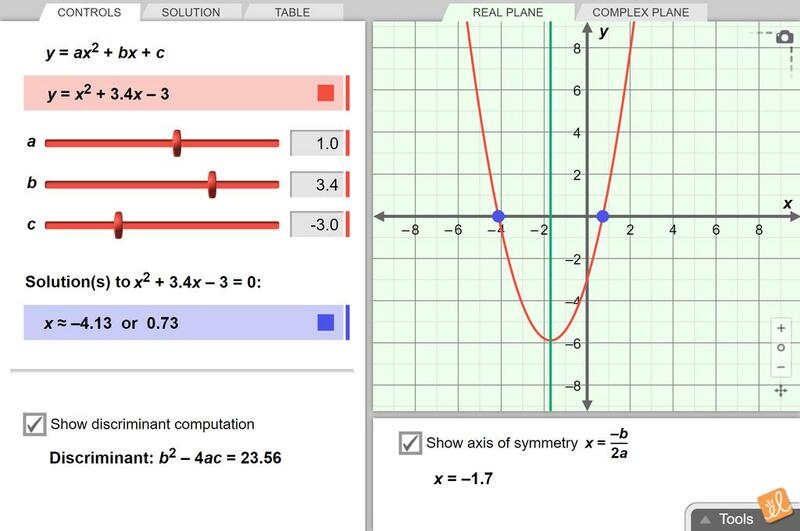 Compare the axis of symmetry and graph of the quadratic in the real plane. When we reviewed what the class learned, even my weakest students were enthusiastically contributing using appropriate vocabulary! This worked great for my students. Improved quiz score after lessons from Gizmo.